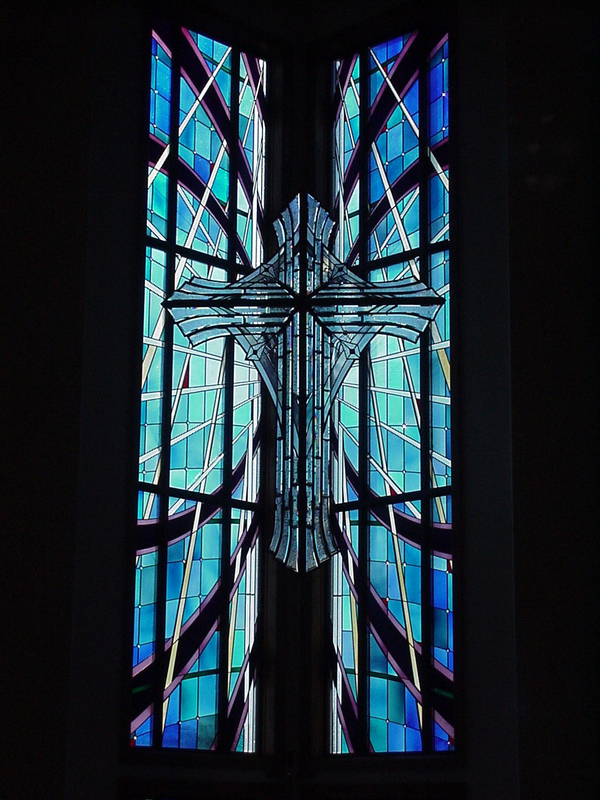 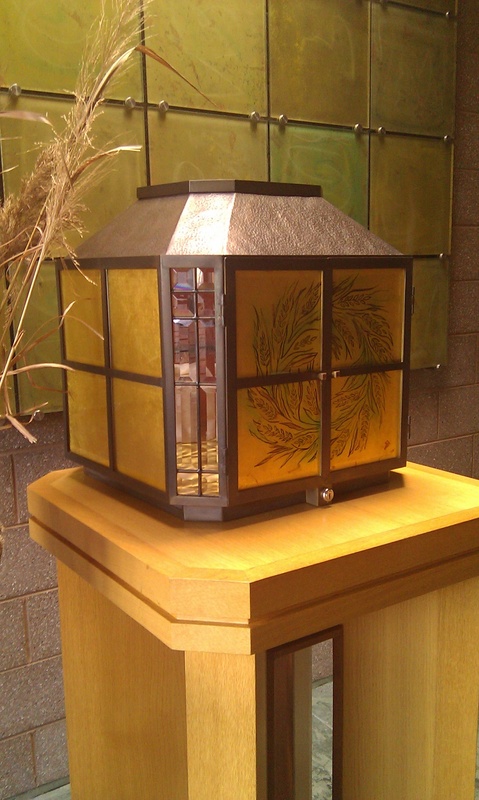 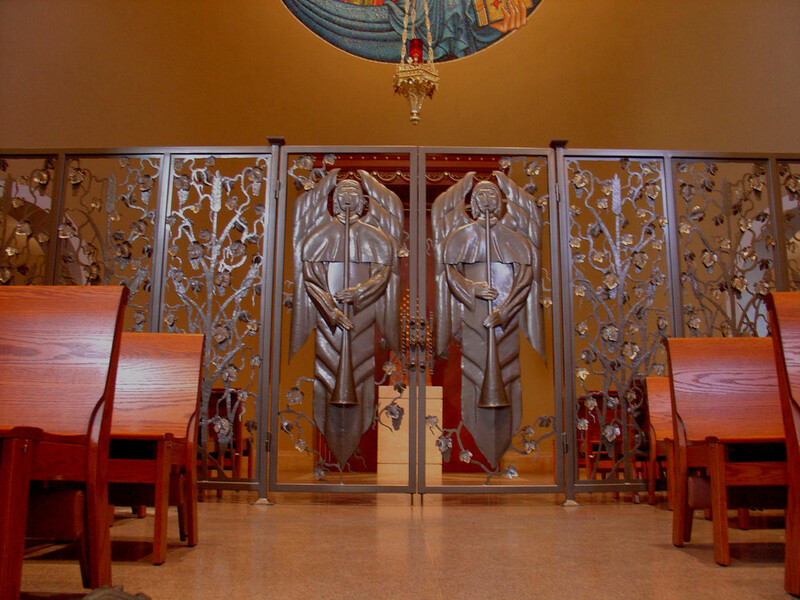 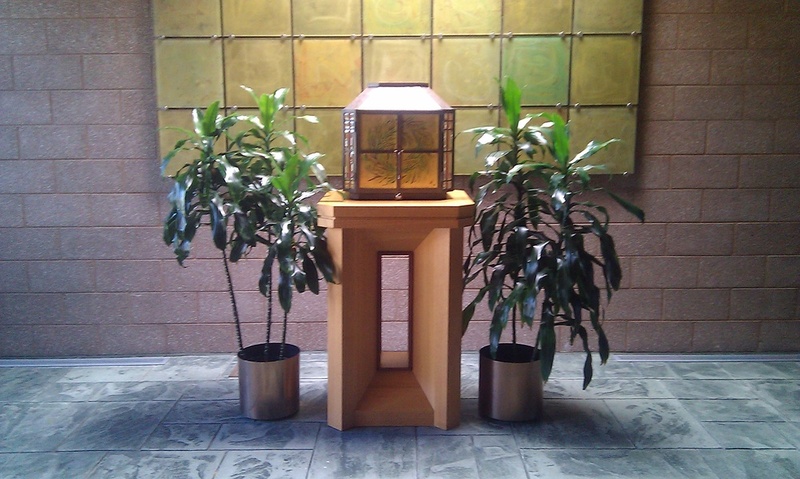 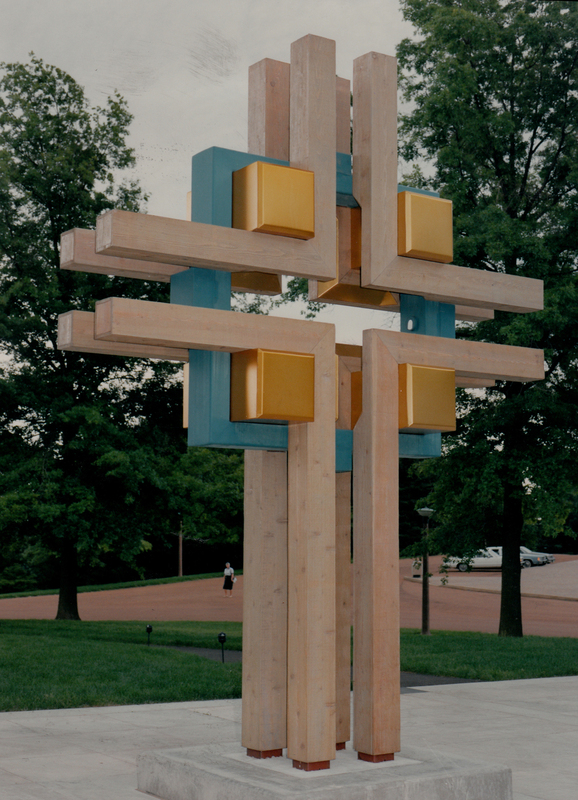 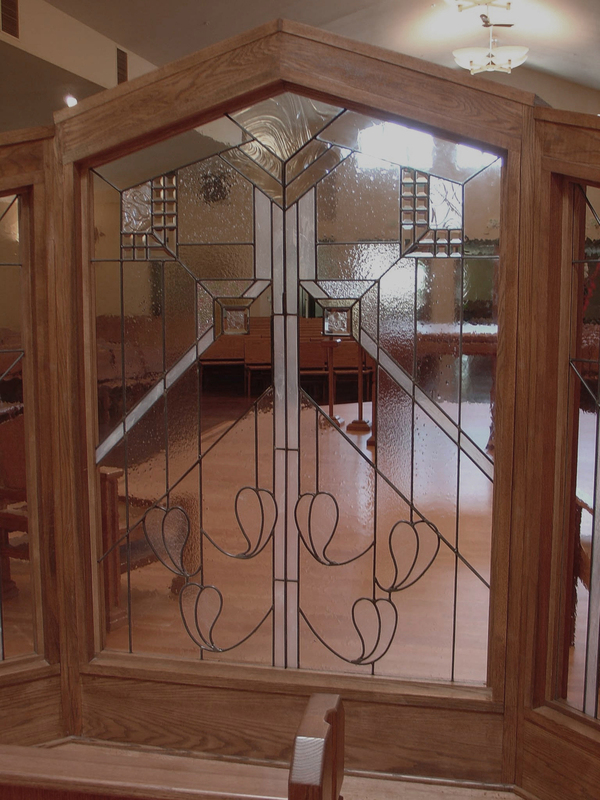 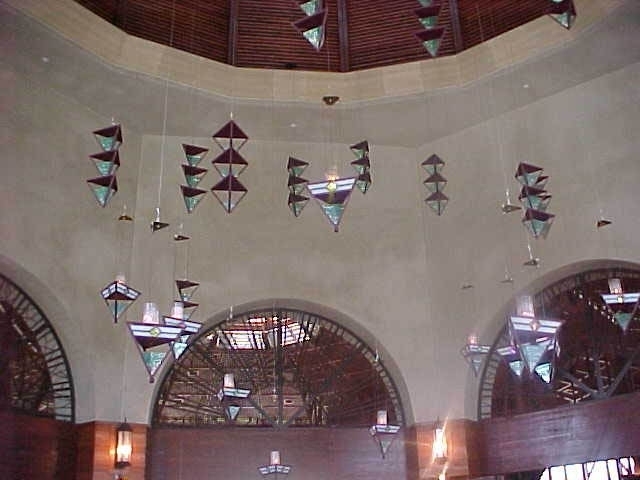 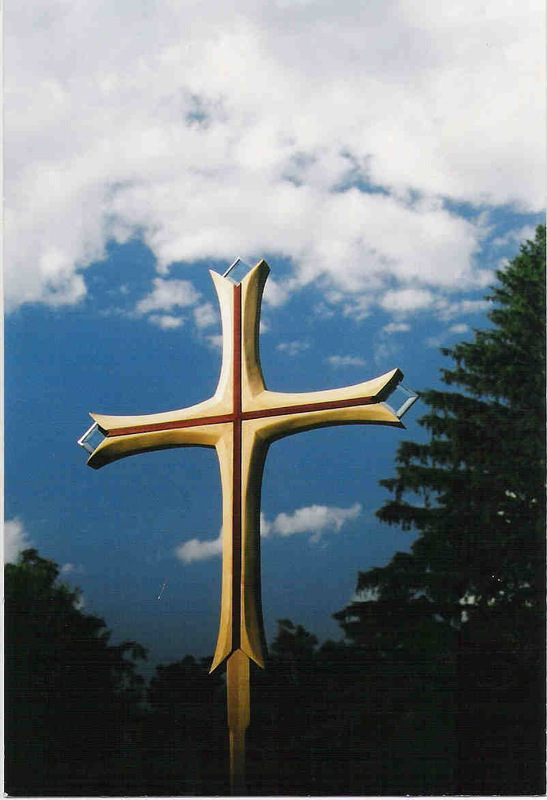 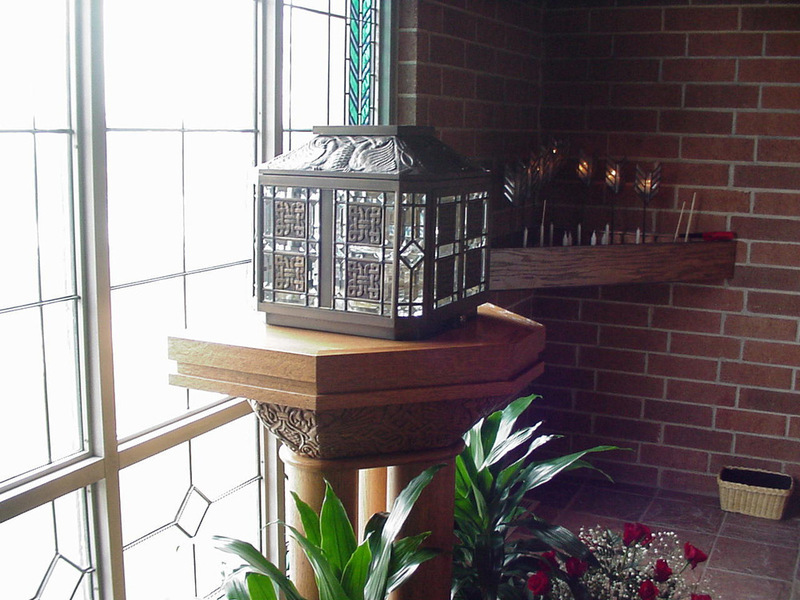 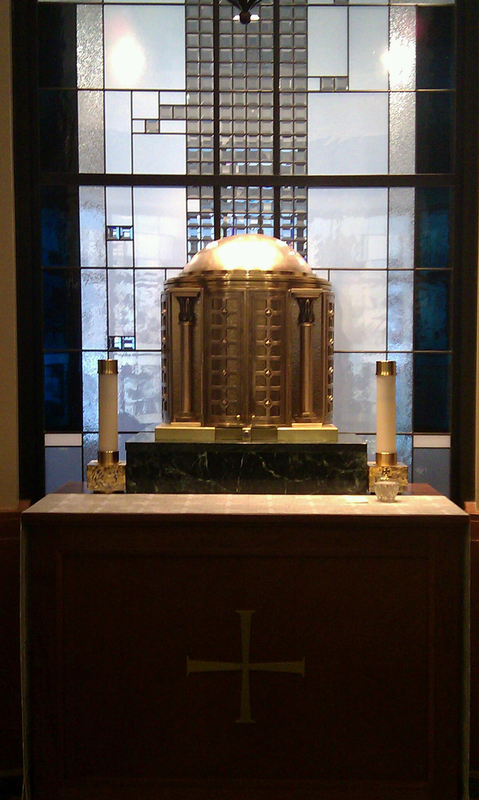 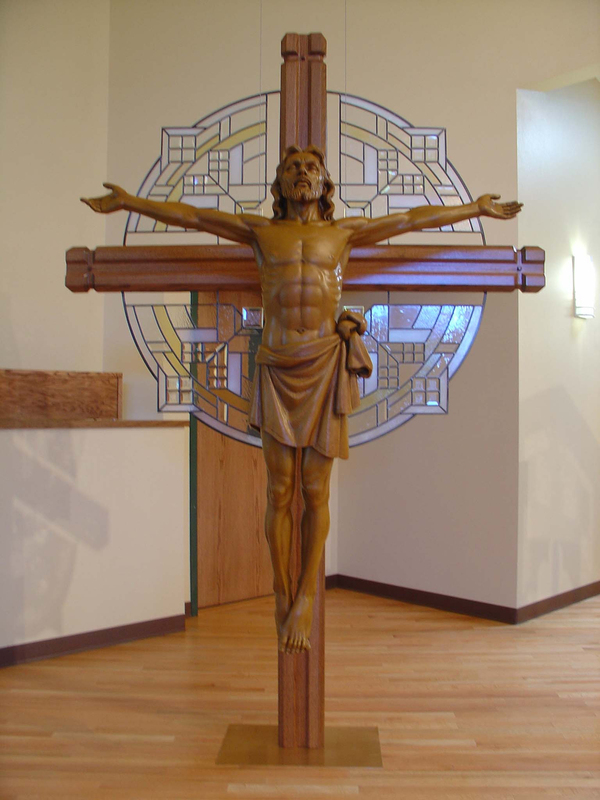 Liturgical commissions such as Tabernacles, Altar Screens, Processional and Monumental Crosses, candleholders, stained glass, painted glass, and etched glass are one of a kind and designed to fit the individual worship space. 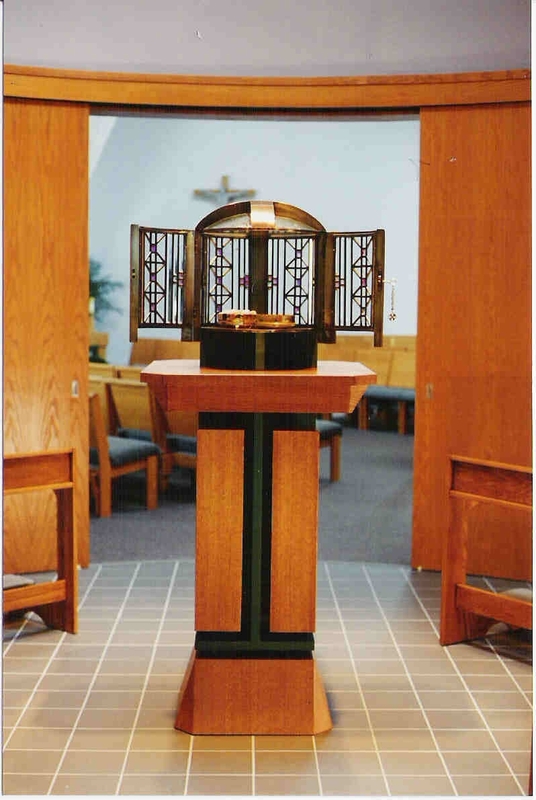 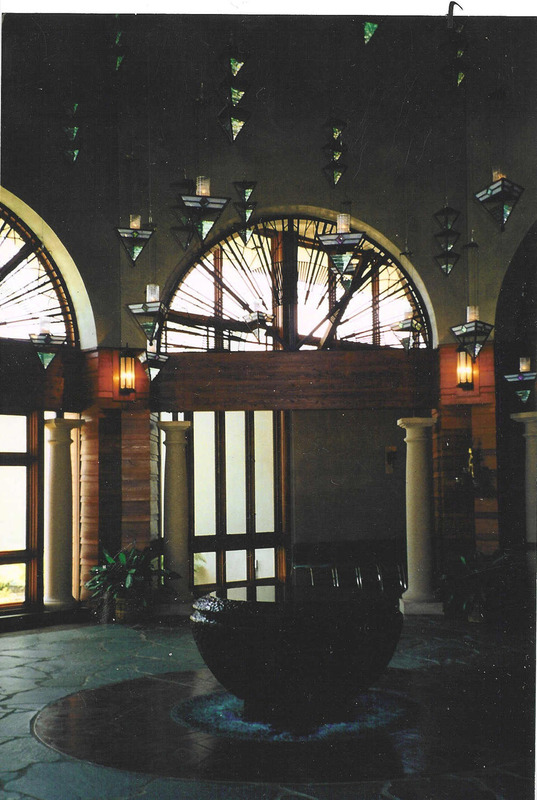 Existing architectural elements are considered when designing, with the intent to meld the furnishing together with the existing ambiance of the Worship Space. 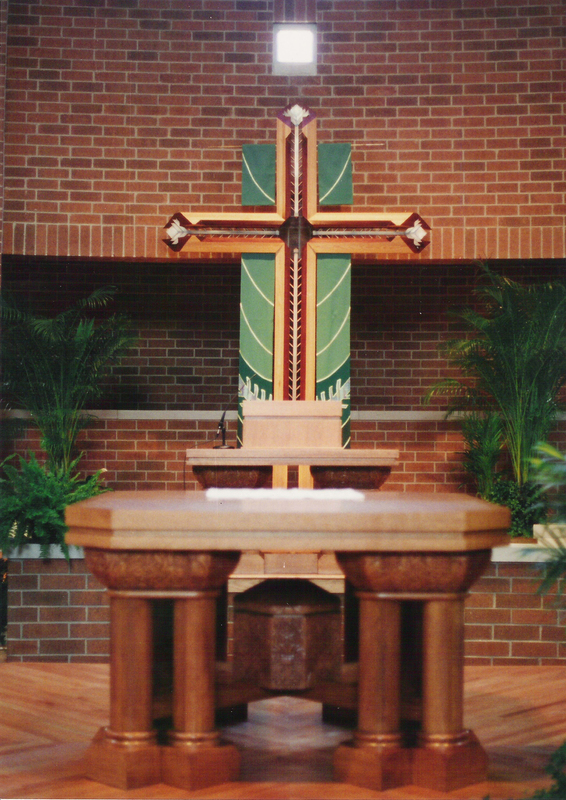 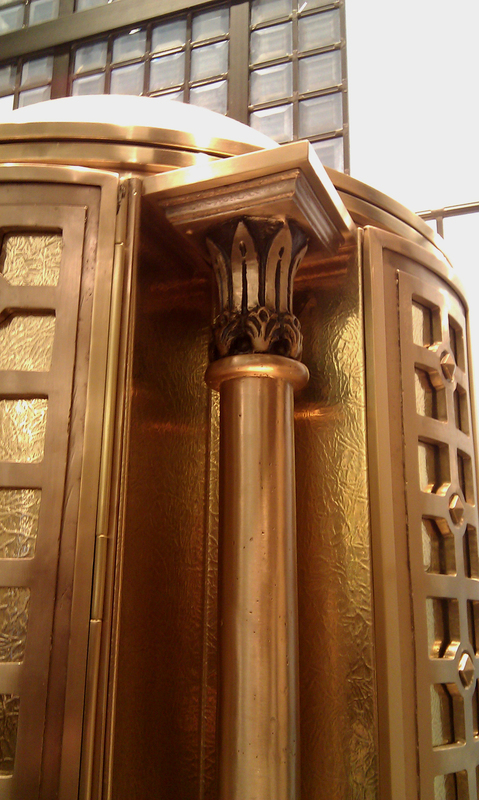 Each piece is designed and fabricated with its purpose in mind, adding to, but not distracting from, the worship experience.